A full-bodied, Amsterdam wheat beer that is dangerously ‘moreish’. Slightly cloudy, it has a beautiful golden colour and a soft, foamy head. When we brew IJwit, we use wheat malt as well as barley malt, which is also how the beer gets its name. The wheat malt gives the beer a delightful, fresh flavour, and the addition of coriander and lemon during the brewing process produces a rich aroma of banana, citrus and spices. 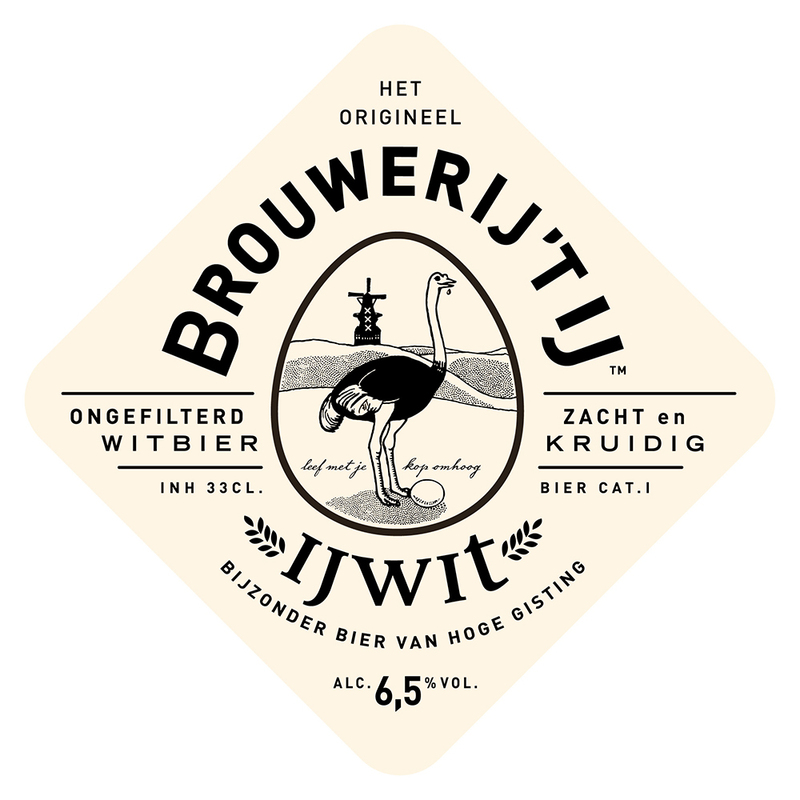 Topped off by a fine, slightly sweet aftertaste, IJwit is a delicious thirst-quencher. tasted this one as part of the tasting board in the original brewery in amsterdam. it’s got to be one of the best beers i have ever tasted. should’ve bought a few bottles to carry home with me. I’m a local from Amsterdam. I love beer, and I can say this with a hand on my heart and swear that this is far out the best wheat beer I’ve ever had. 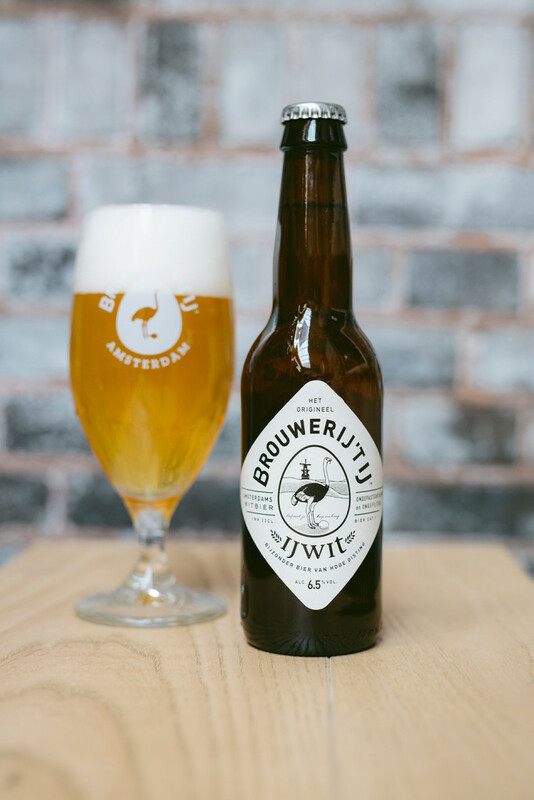 I love the Ijwit beer but live in the USA and would love to order some…how to I go about ordering a case or 2 of the Ijwit white beer? Hello David, have to disappoint you as we don’t ship our beers. Sorry. Come back soon? I would have the same comment. I tasted the beer and live in the US and would love to order some. Perhaps time to reconsider? I tasted the beer as well and live in the US. I would love to order some. Please reconsider your shipping policy! Same here. So sad, I’ve been looking for months trying to figure out how to order some. But now I found these comments and I’m very disappointed. I discovered this beer on my first trip to Amsterdam a few years back and it is now the only beer I want to drink…ever! Hands down the the best beer I have ever tasted. Please consider shipping overseas, you’d make a fortune! Yes please ship to US! I drank this all over Amsterdam! Ship it to Mexico too, please!! Saludos! Currently finished my 2nd bottle while at the Five Flies restaurant. Quite excellent beer all around. I’m a wit fan and agree with previous posts that this would be an excellent export. Cheers to your brewery!